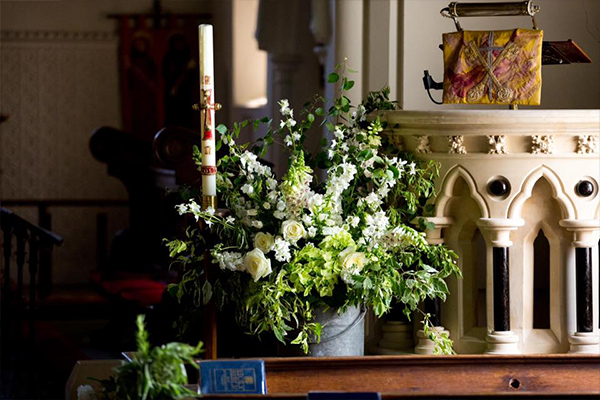 Rosie Orr excels in creating quintessentially country style flowers for Surrey Hills weddings. Trained in London, Rosie brings the service, design input and sophistication that couples love with a passion for relaxed, wild florals and botanicals that comes from living and working in the country. Rosie’s relaxed, informal style and calm confidence belies her vast experience that encompasses working for world famous film and TV productions. 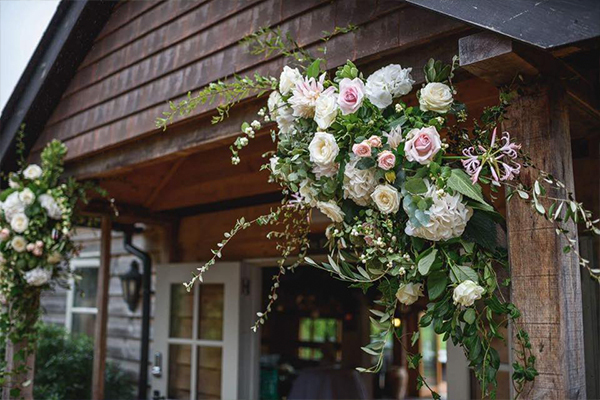 As one of Surrey’s ‘go-to’ florists, Rosie can take a client’s initial idea and create breathtakingly original versions of well loved wedding classics. Rosie’s dedication to seasonal flowers, responsible sourcing and personal edit of styling props for hire allows clients to enjoy a truly concierge and expert service. Rosie truly made my flower dreams come true. 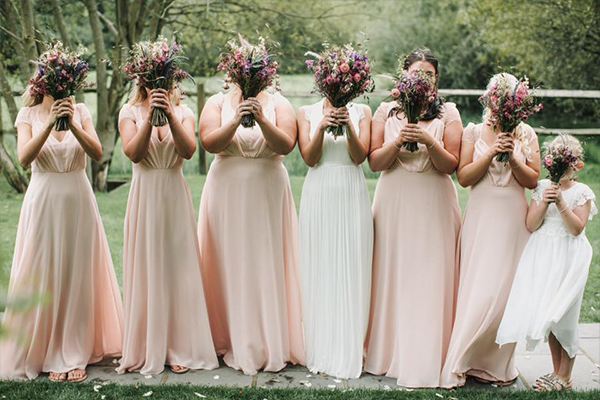 From the moment we booked Gate Street Barn, we knew we wanted her to do our flowers. Everything she creates oozes effortless beauty and our own wedding flowers didn’t disappoint. I am admittedly a complete flower novice and gave Rosie a wonderfully vague brief. She incorporated my ideas into the most spectacular displays which were a real highlight of our day. As well as stunning bouquets and venue flowers, she also created bespoke collars for our dog and horse. So many people commented on our flowers, they were a true show stopper. 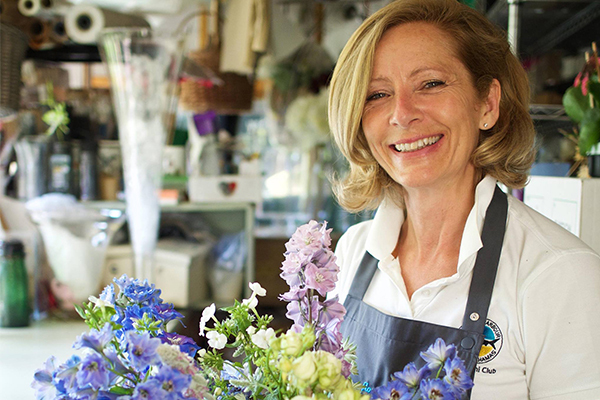 Rosie is a fantastic florist, I cannot recommend her more highly. Rosie embraced all our ideas and concepts and made them a reality... and some of them were pretty challenging! Rosie is incredibly creative and practical, and left me with complete confidence from our first meeting. Rosie was such a pleasure to work with, very kind and patient, she was always quick to respond and fit me in for visits whenever possible - I live in Hong Kong so this really meant a lot to me. Everyone was blown away with her flower displays, especially me. Thank you for helping create our dream English Country Garden wedding. Thank you so much Rosie and Julia for our stunning wedding flowers! Everything was perfect and exactly how we wanted. We both loved the combination of bright pinks and softer champagne creams, and were thrilled to see little sprigs of Gloriosa sneaking their way out of the bouquets - a perfect tropical addition to the theme! Thank you also for putting up with the constant changes to the flower order - I really appreciate your flexibility with all of the changes, additions and tweaks that I bombarded you with. The flower displays at St. Andrew’s church and Botleys Mansion took our breath away. We could not have asked for anything more beautiful. Thank you for helping us create such wonderful memories. Rosie did the flowers for our wedding at the start of August and we absolutely loved them. She did a fantastic job and the venue looked beautiful. My bouquet was also perfect, and exactly what I had asked for. From start to finish her service was excellent and she helped make everything go perfectly. She was particularly helpful with my mum, the budding florist, who wanted to make the table centrepieces and bridesmaid bouquets! We would highly recommend her to anyone. Thanks again Rosie. Our bouquets were beautiful and so festive. I just remember seeing the flowers for the first time and becoming quite emotional as my day suddenly became real. The centre pieces were a beautiful finishing touch for our reception venue and we absolutely loved the floral twinkly twig display that you put together for our card table. All the flowers were so fresh they lasted for over a week. We still have the sparkly twig display at home as a welcome addition to our festive decorations. We would highly recommend you to any one looking for beautiful floral displays and will be keeping your details for any future events. The flowers were OUTSTANDING! When I opened those back doors, and saw how you had done the hall and aisle I was blown away! I had guests complimenting all day on how stunning the tables and flowers were! The bouquets were everything and more to what I wanted I just couldn’t put into words how much I loved the flowers! I was so happy that you were able to be a part of my day – I knew right from the start that I wanted you to do the flowers and what you produced was OUTSTANDING! I hope that 2018 is filled with laughter, fun and adventure for you and your beautiful family. Please pass on a MASSIVE thank you from John and myself to your daughter as well as I know she helped you on the day. We came to you with ideas of colours and that we wanted something "classic and elegant", we knew after meeting you that you completely "got" what we meant by this and that we were happy for you to have creative control. Flower types and what looks good in an arrangement is not our forte so it was a great feeling to know we could completely trust in you. On the day you were efficient and professional and as we hadn't gone through in detail exactly what the final product would look like, seeing the flowers being set up on the morning of our wedding was such a special, exciting moment. I was blown away by how beautiful all of the arrangements were and just how perfectly you had captured our vision and idea of "classic and elegant". We had so many compliments from our family and guests on how stunning the Ballroom looked for the wedding breakfast and when we ourselves sat there taking in every moment we couldn't stop smiling at how beautiful our flowers were and how they perfectly complimented the room. The bouquets are such a stunning feature in so many of the photos, I will always look back on this special day and sigh "our flowers were so beautiful". So from both of us, thank you so much for your hard work, for listening to us, and for exceeding our expectations on how beautiful our flowers could be. You delivered classic elegance in the most perfect way and I wouldn't hesitate recommending you to any couples planning a wedding or working with you again should I need flowers for a special occasion in the future. Just wanted to say a HUGE thank you. The flowers were beautiful and exactly as I had imagined them. It was important to me that they were as Mum adored flowers and always had fresh cut flowers in her house as well as a garden full of flowers. The other flowers you did were equally as beautiful. I must thank you - and my family join me in this - for the wonderful way you arranged the lovely spring flowers on the coffin. Everyone loved them. I was especially grateful for the bird's nest with 3 eggs in it and a feather in the foliage and which made me cry but in a good way. It made my husband's passing more bearable and I just wish he could have seen it. We would love to hear from you about any queries you have or any further information. Please fill out our contact form or give us a ring and we will get back to you as soon as possible.